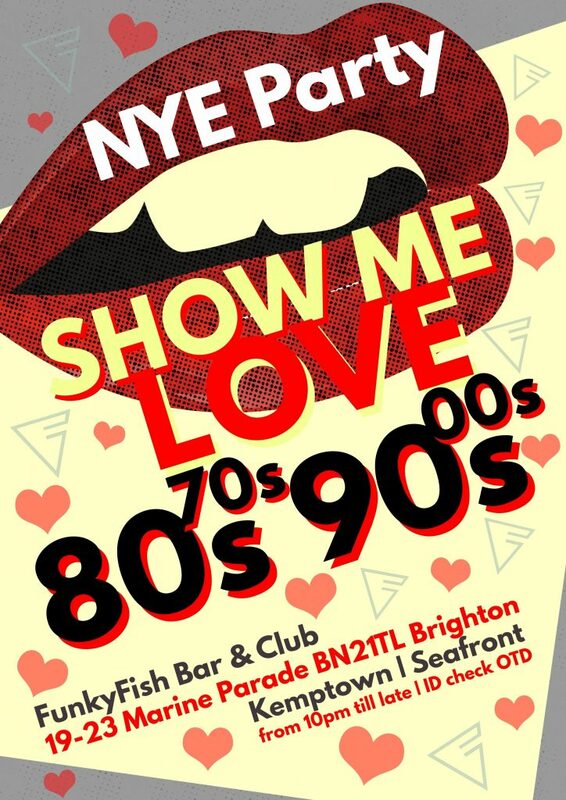 Come and join us to welcome in 2019 at our Show Me Love New Years Eve Party! Our DJ will be playing the greatest tunes of the last four decades to make the last night of 2018 one night to remember. Expect Dance anthems, Disco, Classic House, UKG, Hi NRG and Funk. 6 hours of non-stop dancing, non-stop fun, non-stop floor-fillers to keep you grooving all night. Previous years have been sell-outs so don’t be disappointed and book early!